Dyrberg Kern proudly presents the Satinelle watch. 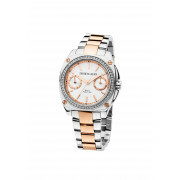 This watch is classy and sophisticated and has two colours, stainless steel and rose gold plated. 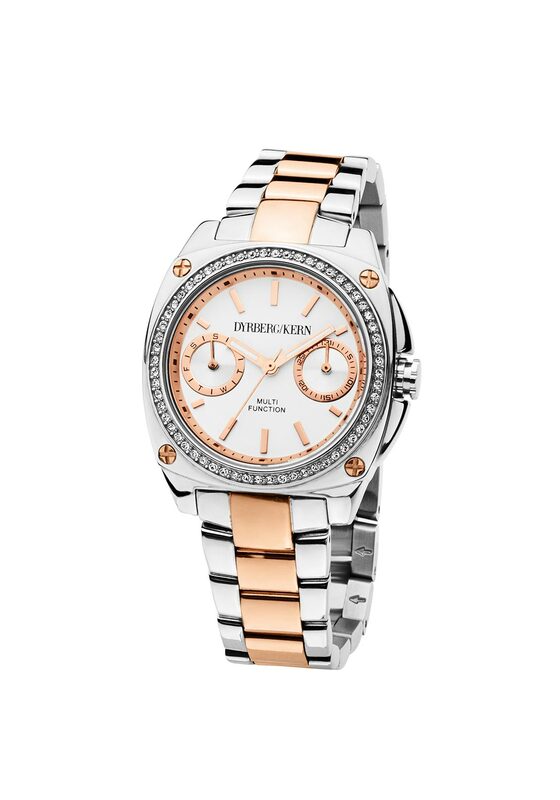 There are two sub dials showing day and date with screw detail and Swarovski elements.